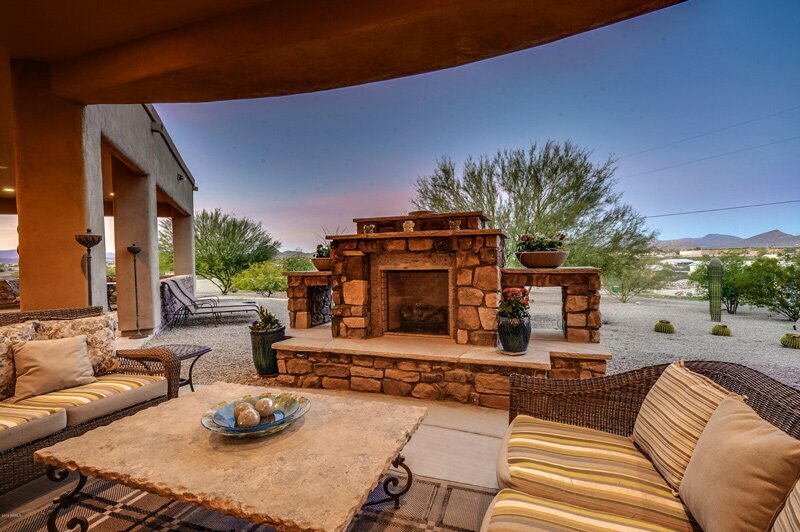 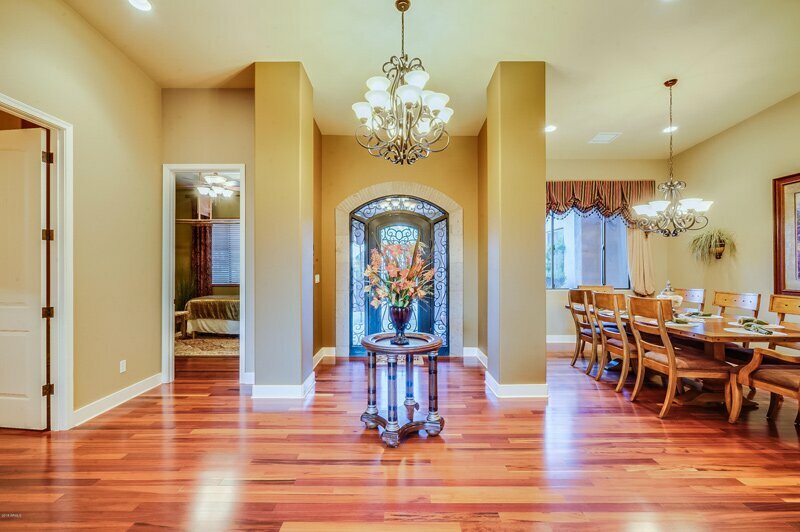 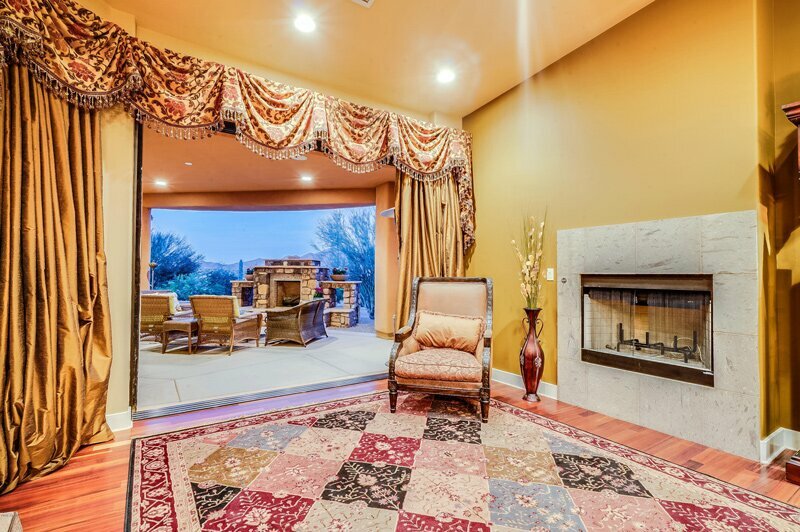 Watch Daisy Mountain turn beautiful colors as day turns to night from your covered patio, great room, living room or bedroom. 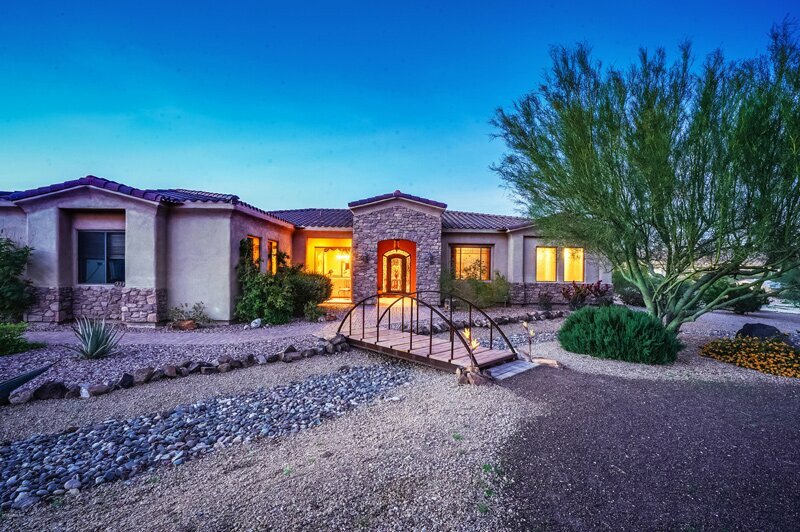 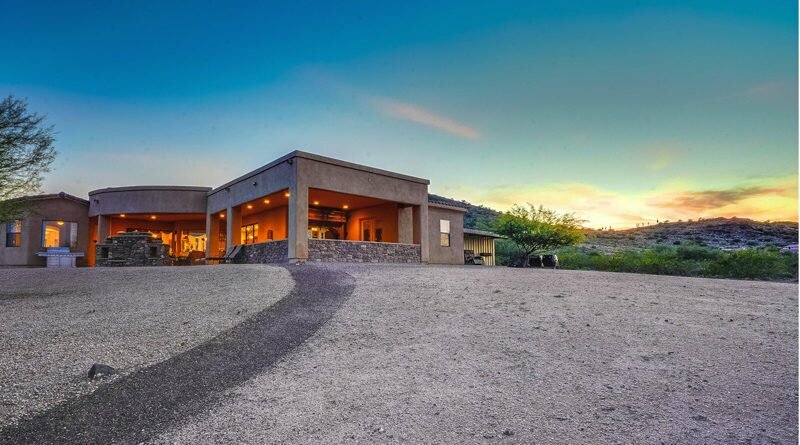 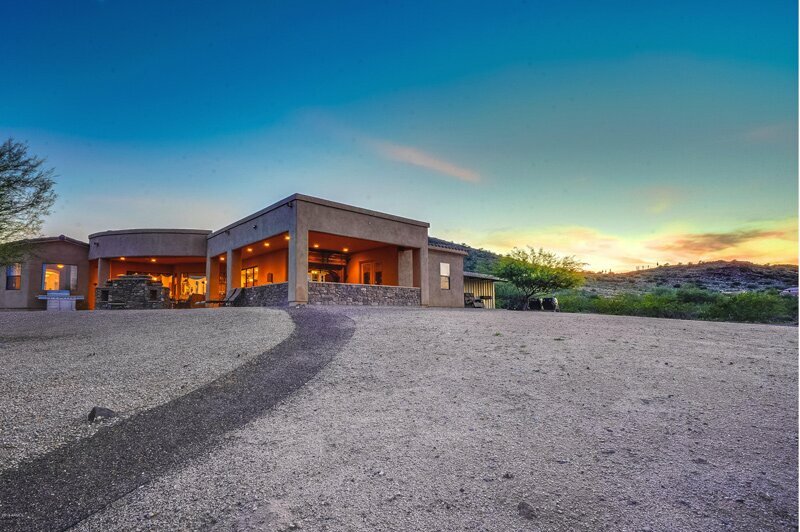 By nightfall, this luxury home on 1.4 acres, high on the hillside, looks onto the twinkling city lights of Anthem below. 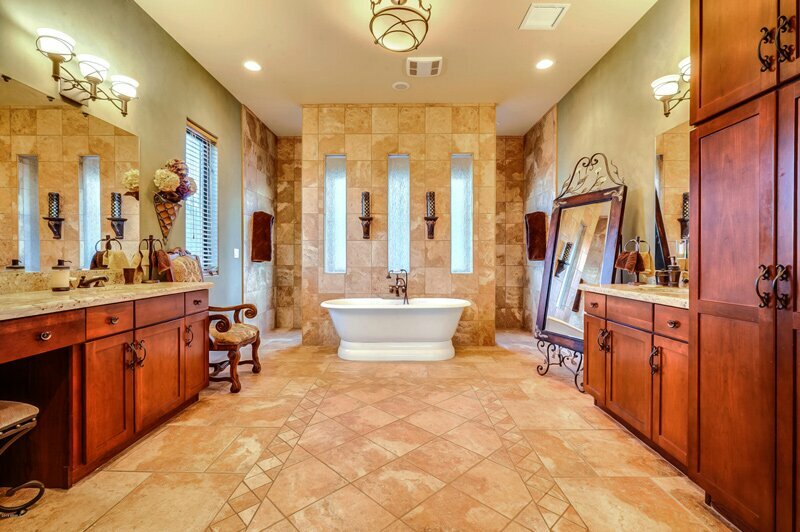 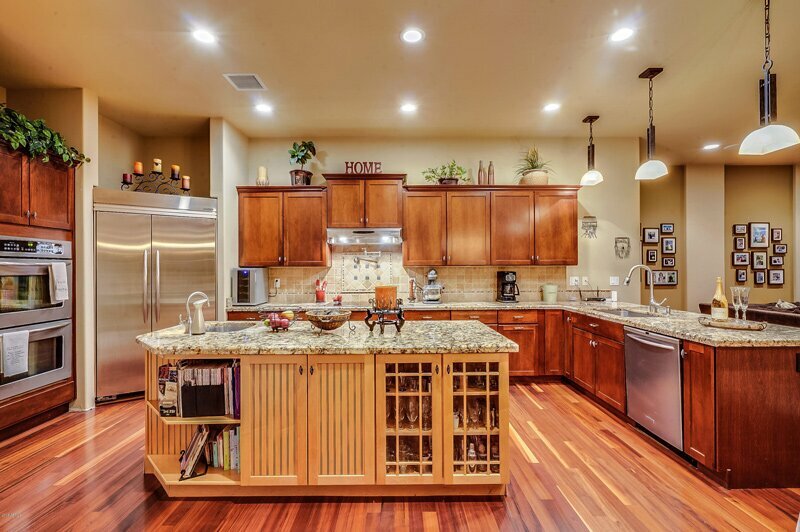 This custom-built dream home is made with carefully selected, high-end materials, from the warm Brazilian cherry hardwood floors to the porcelain soaking tub perfectly framed by the stone walkthrough shower for two. 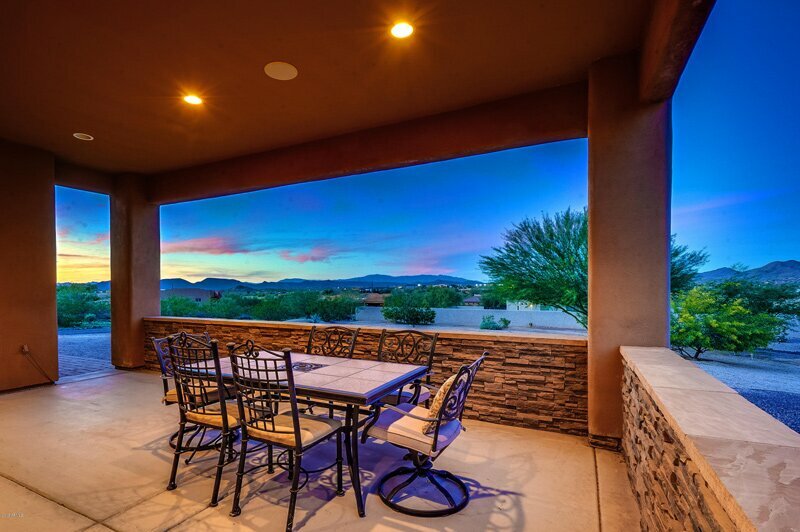 Retractable glass walls in the living room and great room bring the outside in. 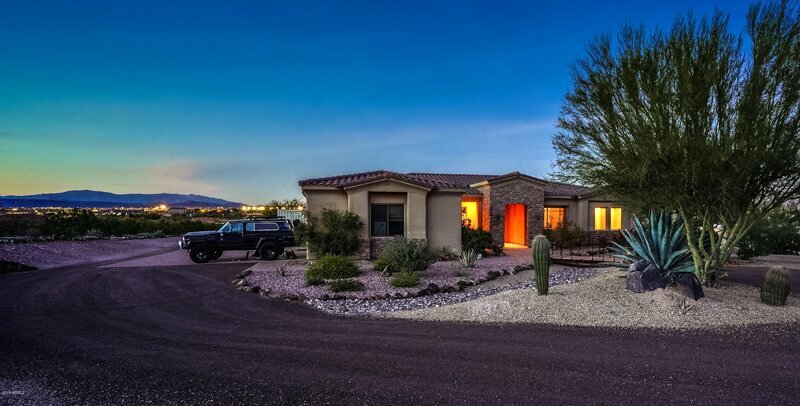 You’ll find spacious sleeping quarters, and the split floor plan assures space and privacy for all.